New York Comic Con is coming up this weekend but the news is already starting to drop. 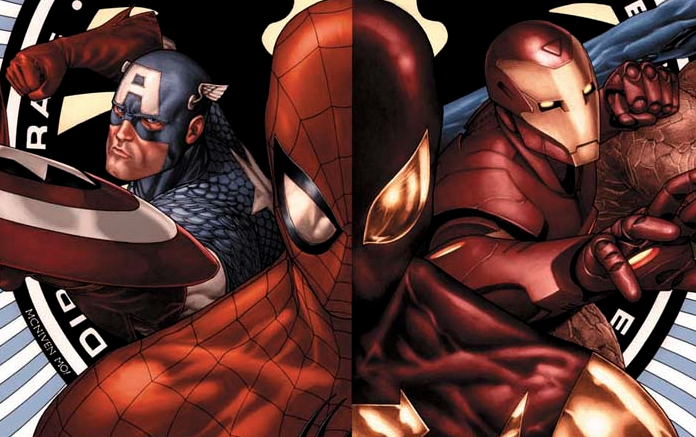 Is Marvel planning a Civil War sequel in time for the upcoming Captain America: Civil War? The picture of Sam Wilson’s Captain America duking it out with Iron Man would certainly make it seem so. And the Roman numeral “II” is also a good indicator that a second installment is in the works. I don’t know how I feel about this. With their “All-New, All-Different” universe being less than a year old it seems a little unnecessary to already shake the status quo like this. I get cross promotion and marketing, but Marvel Comics is already reprinting every Civil War trade paperback and putting them all into one snazzy looking box set (that I want to get even though I own all the single issues). Marvel did do marketing like this before, but that lead to the alternate universe Civil War story that took place in the greater mega series event Secret Wars. We’ll most likely have to wait until next year and the solicitation of the first issue to find out for sure. This entry was posted in Breaking News, Comics and tagged Civil War II, Marvel. Bookmark the permalink.